After an epic 9 season run, Seinfeld brought everything to a close in 1998 with the divisive series finale. This happened three years before the tragic events of the September 11 terrorist attacks which brought down the Twin Towers. 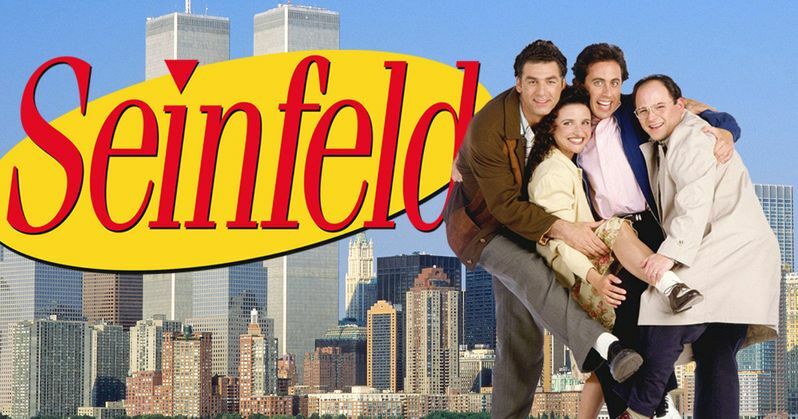 The fictionalized version of Jerry Seinfeld and his three best friends were never given the opportunity to reflect on, or react to these heinous events. But that all changes now with a spec script that is making the rounds. Called insane and just as equally brilliant, this 40 page story has become somewhat of a viral sensation. Comedian Billy Domineau is the one behind this spec script which imagines what life would have been like for Jerry, George, Elaine, and Kramer in the aftermath of such a tragedy. It wasn't often that the foursome would reflect on real-life events. Though they did often talk about current social trends and pop culture in general. Here, we find out that the terrorist attacks that took down the Twin Towers wouldn't have made Jerry and his pals any less selfish or immature. Here is Jerry Seinfeld's cold open monologue, which would have found the small screen version of Seinfeld doing a stand-up bit about waiting in an overcorwded heaven. "You think they ever get backed up at the gates of Heaven? Too many people die at once, it just overwhelms the system? It's gotta be like the DMV on a Friday. "Everyone take a number, you'll be judged in the order you slipped the surly bonds of Earth." God's angry at St. Peter. "What's going on? Keep the line moving!" "I've got three angels on vacation - what do you want?!" All these poor souls just standing around, reading old magazines. "This is taking an eternity. I could've been in Hell by now!" The script is titled 'The Twin Towers'. And it has been drawing plenty of praise from the comedy community, though none of the actual Seinfeld creators or stars have chimed in just yet. The story kicks off with George attempting to congratulate an NYC Fireman in his usual bumbling manner, only to upset the city worker and ignite a fist fight. Elaine is relieved to find out her most recent boyfriend, whom she planned to break up with, perished in the attacks. And Kramer is under the belief that one of his neighbors was a terrorist leader. While the material is dark, indeed, it reads like an actual episode of Seinfeld. And it's not hard to imagine these characters acting just like this had the show gone on a few more years. You can read the script for yourself here courtesy of Entertainment Weekly. Now that this work of the written word had gone viral, it can't be too long before someone decides to fully animate this script, or perhaps a few Seinfeld imitators will get together and actually shoot the episode in live-action. We have a feeling this isn't the last we'll hear of this spec script.